If wellness is an area that your company is emphasizing, there are lots of topics that you can discuss in your company newsletter and during team meetings. Healthy employees have more energy and a better outlook and working together towards wellness will create an even stronger team. Wellness is a broad topic that encompasses many areas. Use the following ideas to give employees actionable tips toward wellness that they can incorporate into their work and home lives. Eating a nutritious diet can be a challenge, especially for busy employees. Offer useful tips for making small changes that will help your employees eat healthier overall. 1. Restaurants close to the office that offer healthy menu choices - Provide a good selection of restaurants within walking distance of your office that have healthy options. Give the address, how long it takes to walk there, and a few examples of dishes offered for each location. 2. Healthy recipes that are easy to make ahead and bring to work for lunch - Ask your employees to submit their favorite recipes or look online for some fun and different ideas. Go beyond the basic sandwich or salad! 3. Statistics on the importance of starting the day with a healthy breakfast - A nutritious breakfast gives you energy and helps curb before-lunch snacking. Get tips, information, and even recipes from the Mayo Clinic. 4. Suggestions for staying hydrated through the work day - Drinking enough water can be difficult when you're busy at work, especially if you tend to sip coffee throughout the day. Offer workable suggestions that will help your staff stay hydrated. 5. Healthy slow cooker recipes that people can get started at home to enjoy for dinner after work - This is another topic that you can ask your employees for input on. Feature a few staff-submitted recipes in your newsletter for slow cooker meals that are simple and healthy. 6. Suggestions for lightening traditional recipes to be healthier - Give options for swapping out salty or fatty ingredients for healthier, lighter alternatives. You can also provide tips for adding more vegetables and whole grains to meals. 7. Ideas for healthy convenience foods to bring to work for busy days - Convenience foods tend to be high in fat, sugar, and salt, but there are some options that fit into a healthy diet. Suggest brands and serving sizes that provide nutrition without breaking the calorie bank. It can be difficult to fit exercise into a hectic work day! Offer tips for getting some movement into each day. 8. Membership information for fitness centers near the office - Many people are reluctant to join a gym, but if there are fitness centers near the office that can be used at lunchtime or after work, they may be more motivated. Provide membership info for such locations and encourage employees to go in groups to motivate each other. 9. Details on on-site exercise options, if such are available - If your office has a workout room (or space to put one in), describe what's available and when. Otherwise, offer tips for stretches and exercises that can be done at your desk. 10. Ideas for portable exercise gear that people could keep in their office to use on break - From hand-held weight to resistance bands, there are lots of portable products that will bump up the exercise value during a simple lunch-hour walk. Offer suggestions for a variety of these products. 11. Details on walking or bicycle trails near the office - If there are trails close to the office, give directions to get there and explain how long they take to walk or bike. If not, offer walking maps for your neighborhood and note the distance and time for each walk. The overall topic of wellness includes safety in the workplace. Address common issues that employees need to be aware of to ensure their own safety. 12. Ergonomics-related safety tips for the work environment - Cover the basics such as how to sit in your office chair to support your back, placement of keyboards and monitors, and how to avoid eye strain. 13. Encouragement for employees to visit their doctors for wellness checks - Discuss the importance of regular checks for things like blood pressure and cholesterol, as well as screenings for diseases such as common cancers. 14. Sun protection tips (particularly if some of your employees work outdoors) - Offer recommendations for good products that provide sun protection, including lotions and sprays as well as hats and protective clothing. 15. Proper hand-washing techniques - Hand washing can prevent the spread of germs throughout the office. Provide the basics of hand-washing and explain how important it is in the workplace. 16. How to identify and prevent common trip and fall hazards in the workplace - Employees are often too busy to worry about things that can cause trips and falls. Discuss the importance of keeping things like electrical cords and belongings safely away from trafficked areas of the office. There are plenty of other topics that you can touch on related to health and wellness and how it relates to your company. These are just a sampling. 17. Information on how to calculate body mass index (BMI) and what it means - Give a simple formula for calculating your own BMI and discuss ways to improve this number. Explain how BMI relates to overall health. 18. Information on services available through the company's employee assistance program (EAP) - Your employees may not be aware of all the services that they can access through their EAP, so highlighting some of these and explaining how to tap into them will raise awareness. 19. Stress management tips and ideas - Everyone gets stressed from time to time, but workplace stress can make your staff dread coming to work. Offer up tips for managing stress both at work and at home, and offer resources for dealing with ongoing stressors. 20. Time management tips and ideas - Learning how to manage time and tasks efficiently can ease stress and make life much simpler. Give lots of suggestions for effective time management and explain how these can help. 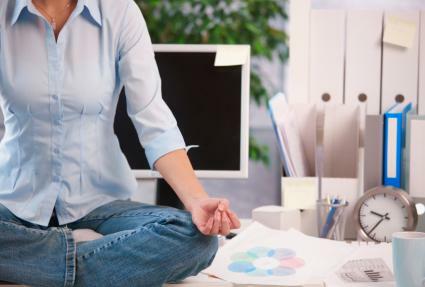 Wellness is an important subject for any workplace. Whether you use some of these suggestions as they are or simply use the list as a starting point to brainstorm your own ideas, the key is to come up with ideas that will interest your employees and that are consistent with your company's overall approach to wellness in the workplace.